All the producvt on this page are self-made! Our company was alapitva in 1999, and since it is in Hungarian ownership. Since the early days we make stainless fishsoup caldrons, however --- thanks to the feedbacks of our custumors --- we extended our product line with stainles goulash caldrons, copper caldrons, and grills. 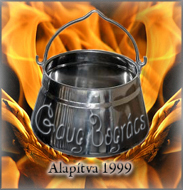 From 2004 with the megalakulás of the enamelling works we are able to make enamelled caldrons and kettles, suitable for disznóvágás, stb.. 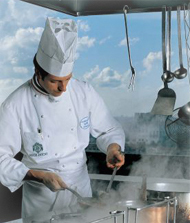 Thanks to our technological competence we can guarantee the high quality and longevity of the products we make. Our goal is efficient operation of the company, and ensuring its long-term competitive power, and create the necessary conditions for the future developement of GAUG Bt. We serve home and foreign market, wholesalers, retailers, and individual customers as well. Our premise is at Felsőszentiván, 20 kilometers from the capital town of fishsoup, Baja. Hungary, 6445 Borota, Felszabadulas utca 64.